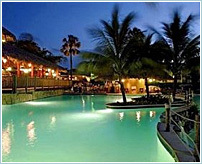 ViaPointe is a professional and experienced organization that provides solutions for resort development. Click here to contact us for a username and password. "ViaPointe helped us tremendously. I was very impressed with their level of experience and professionalism. ViaPointe developed and executed the plan we needed, exceeding our expectations at every level..."
"ViaPointe will develop a comprehensive plan and most importantly, follow through..."